Developments in the market for pharmacy inventory management software solutions and cabinets rides on the back of the rising adoption of automation solutions across the stages of healthcare delivery, including in pharmacy. World over, pharmacy managers are hard-pressed to reduce overhead cost and bring efficiency in managing inventory, boost inventory turns, and gain real-time visibility into the medication inventory. The drive for pharmacy inventory management automation solutions stems from this need. Their demand has notably gained traction from the potential application of these solutions in minimizing the risk of medication errors, especially in hospital settings and retail pharmacies. Growing functionality of software and analytics platforms for managing pharmacy supply chains across disparate health systems has made the market increasingly lucrative over the past few years. Supported by these demand dynamics, the global market is anticipated to expand at a substantial growth rate over the forecast period of 2018–2028. The market is largely driven by the rising demand for solutions for automating inventory processes such as counting, restocking, warehousing, and dispensing of medication, with an aim to boost operational efficiencies of pharmacies. The rising number of long-term care pharmacies have spurred the number of medication dispensing, thereby bolstering the demand for pharmacy inventory management software. There is a rising trend of medication dispensing cabinets getting equipped with barcode and RFID technology. This in particular has boosted automation in public hospital pharmacies, leading to overall efficiencies. Technological advancements pertaining to automation of point-of-use dispensing of medications, especially in long-term care facilities, are opening up new market avenues. The growing popularity of pharmacy inventory management solutions promoting decentralized medication medications systems bodes well for the market. Adoption of pharmacy inventory management software solutions and cabinets along with other healthcare IT solutions helps improve patient outcomes by taking patient-centric care to new levels, especially in hospitals. NYU Langone Health, a U.S.-based renowned integrated academic medical center in July 2019 inked a partnership with Omnicell, Inc., which will enable the former to use pharmacy inventory management cabinet solution at its new inpatient hospital. The automated medication dispensing cabinets by Omnicell. The adoption of the automation platform will allow them to places medications in secure storage drawers. These are then integrated into the software platform and the hospital's electronic health record (EHR). The adoption of these solutions will also help in improving nursing workflow efficiency, believes the provider. The patient-specific medication storage device can be placed alongside the patient beds and is supported by advanced healthcare systems. Anesthesia providers using the inventory systems can get easy access to medications for a full day of cases. The adoption of automated pharmacy management helps hospitals in meeting the various patient-focused goals. 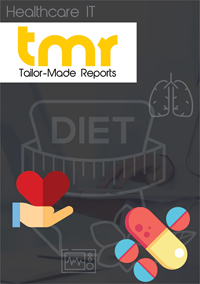 The report on the pharmacy inventory management software solutions and cabinets market offers comprehensive assessment of growth dynamics of various regional markets. It also offers insights into lucrative avenues in key regions and the prevailing regulatory norms and trends reinforcing these avenues. On the regional front, North America is in all likelihood is expected to contribute attractive chunk of revenues to the global market. This is owing to the presence of several prominent players. The rising adoption of automation in healthcare systems and the staggering rise in number of retail pharmacies are factors making emerging markets increasingly lucrative. The study takes a close look at the prevailing competitive landscape and recent developments influencing the strategic dynamics. The analyses offers insights into the key strategies adopted by various players to either gain a foothold in the market or to consolidate their shares. Top players are focused on geographic expansion to retain their stronghold in the pharmacy inventory management software solutions and cabinets market. Some of the prominent players operating in the market are Omnicell, Inc., McKesson Corporation, Oracle Corporation, Alyst, LLC, Becton Dickinson, and ARxIUM.